4.8/5 out of 668 votes. 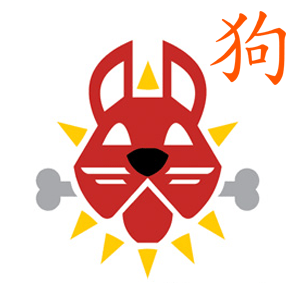 Dog Chinese Daily Horoscope for Today, Tomorrow and the Day after Tomorrow. All the latest information you need about Dog Chinese Horoscope and updated Daily. There are days when you feel wonderful without being able to attribute the feeling to any real event. Of course, your rational mind will search for a reason for your happiness. But if you count the number of times when you do things against your will, it becomes obvious that logic and reason don't always apply to this world. Don't even try to understand. Just enjoy! You should find that the adventurous side of you has the support of your emotions. These two parts of your spirit are working in harmony to help you stretch beyond your limits. Push into new realms and ask questions when you don't understand something. This is the only way you will learn, develop, and grow mentally and emotionally. Don't assume learning stops when you leave school. No matter what you're doing today, have fun. Whistle a tune. Turn the stereo up to full volume and dance around the kitchen as you make dinner. You can find amusement in just about anything, so keep this in mind as you tackle even the menial tasks. You're responsible for your own attitude, so don't blame anyone else for a sour mood. Turn yourself around and have fun.